A UF/IFAS EDIS fact sheet is now available entitled “Insect and Mite Integrated Pest Management in Florida Cotton” by Joe Funderburk, Nicole Casuso, Norman Leppla, and Michael Donahue. The guide provides growers with up-to-date information on scouting and managing insects and mites in their fields. The guide contains a link to a cotton insect identification guide. It also contains links to information on individual insect identification and their damage, including tobacco thrips, tobacco budworm, cotton bollworm, true armyworm, beet armyworm, fall armyworm, cutworms, loopers, boll weevil, plant bugs and stink bugs, cotton aphid, broad mite, two-spotted spider mite, and silverleaf whitefly. The guide provides scouting information and damage thresholds which are important to avoid unnecessary pesticide application and to conserve important natural enemies. Conversely, cotton fields require frequent scouting from emergence to harvest as damaging pest populations can develop quickly. The guide details the recommended period of sampling and methods of sampling that are appropriate for individual pests. The average number of the pests in the samples then is used to determine if a management tactic is needed to prevent the pest from reaching a damage threshold. 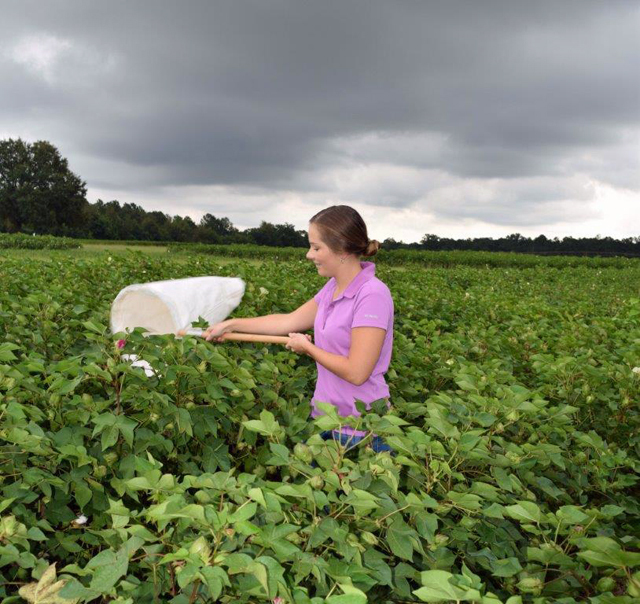 For example, sweep netting is frequently used to estimate the number of plant bug adults once squaring begins in a cotton field (Figure 1). Take several 25-sweep samples in a field to determine if populations are approaching damage thresholds in a field. 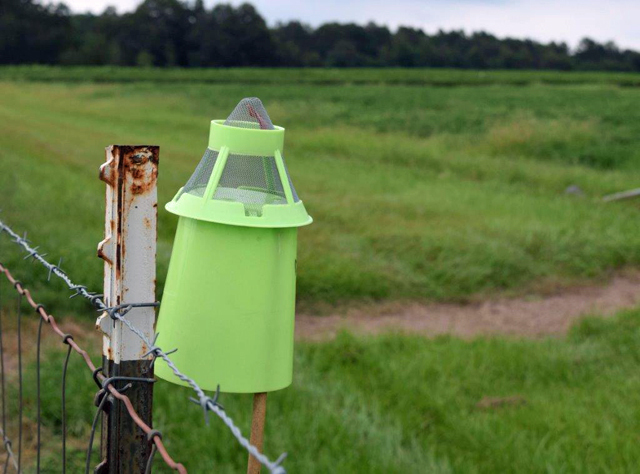 For cotton boll weevils, pheromone traps are an efficient way to monitor (Figure 2). One trap is recommended for every 20 acres in a field. The guide serves as a reference for management tactics with links to other EDIS articles and external sources of information on arthropod management in cotton. These include cultural controls, mechanical controls, biological controls, and chemical controls. The article serves as a guide for Bt and non-BT cotton. A pesticide table is included from the National Pesticide Informational Retrieval System that lists the major arthropod pests of cotton in Florida, the active ingredients and example products registered for controlling them, and the Insecticide Resistance Action Committee (IRAC) classification system for use in rotating active ingredients to prevent resistance in target pests. The table includes special information on precautions and recommendations for maximizing control in Florida. This EDIS publication website allows UF/IFAS extension researchers, extension specialists, and extension agents to regularly update fact sheets to include the most current information.